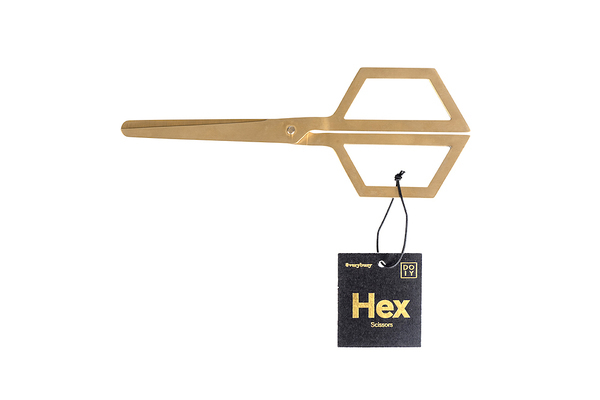 Minimal Hex Scissors in gold-coloured metal with hexagon-shaped handle. Add some geometric style to your desk or home office, pair with the Hex Pen (see separate listing). Designed in Barcelona by DOIY.